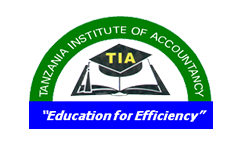 1.0 Tanzania Institute of Accountancy (TIA) is one of the Technical Institutions in Tanzania and a Government Executive Agency under the Ministry of Finance and planning that was established on 1st July, 2002 by the Government Notice No. 489 of 1st November, 2002 and officially launched on 24th January, 2003 as per Act NO. 30 of 1997 to provide education and conduct Research & Consultancy in the fields of Accountancy, Procurement and Logistics Management, Business Administration, Human Resource Management, Marketing & Public Relations, Public Sector Accounting & Finance and other business related disciplines.